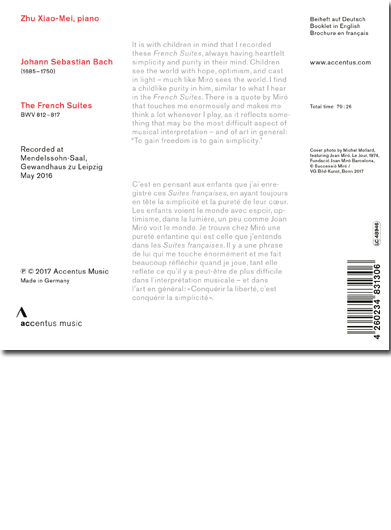 This new recording of the French Suites by Johann Sebastian Bach is the fourth CD release of Zhu Xiao-Mei on the Accentus Music label. Zhu Xiao-Mei and Accentus Music plan to continue their collaboration with a recording of Bach’s English Suites by the end of this year. In short, these are honest and deeply affectionate perfomances, set to become a classic.